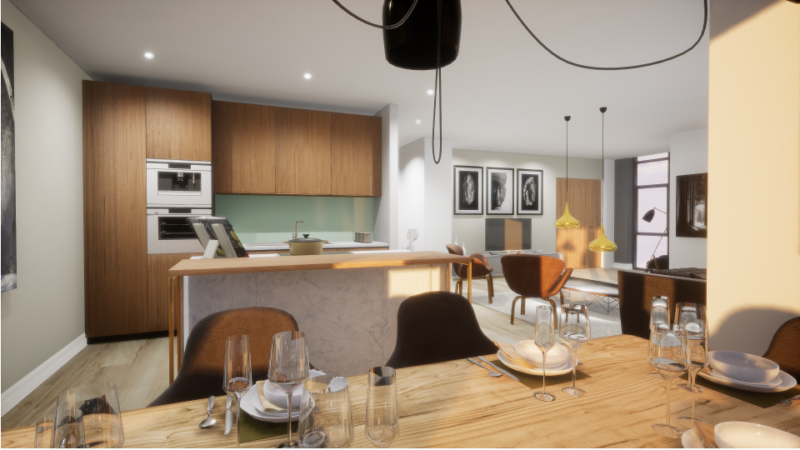 Level 5 Interior 3D Models are available for sites anywhere within the M25. Level 5 models are usually produced to order as an upgrade on our Level 3 or Level 4 3D Models. Source data is usually either plans, drawings, photographs or 3D scans. Fully compatible with other 3D models, available in FBX format.